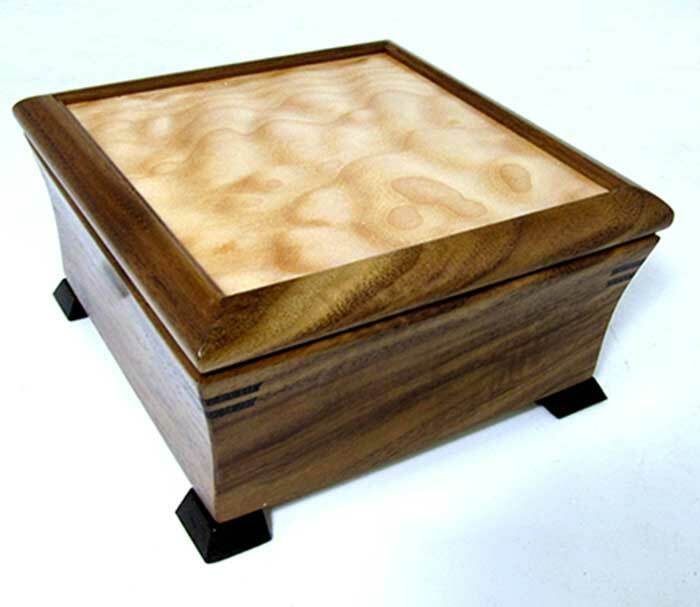 Handmade wooden keepsake box by Mikutowski Woodworking is sleek and contemporary. Use it to store special eyeglasses, pens or other treasures. 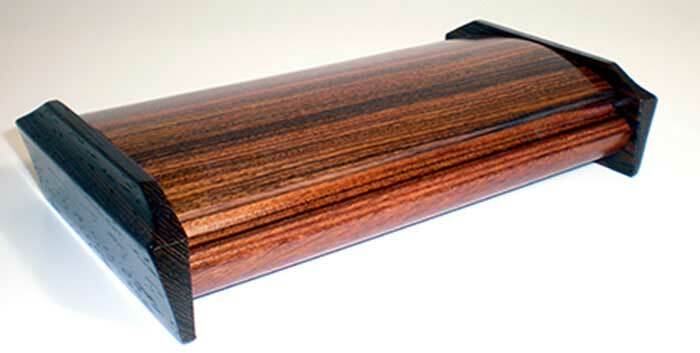 Available in Bolivian rosewood (shown), birdseye maple, bubinga, cherry and curly maple. Wenge end caps. Size: 7.25" x 3.75" x 1.5"